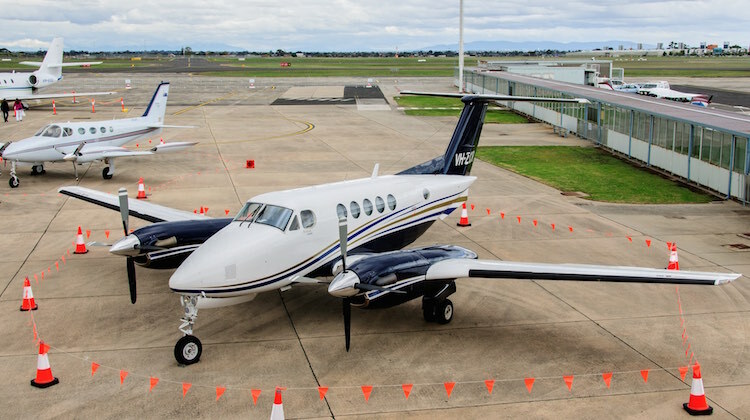 The pilot flying a Beechcraft B200 Super King Air that crashed shortly after takeoff had the aircraft’s rudder trim in the wrong position at takeoff, the Australian Transport Safety Bureau (ATSB) investigation has found. The incident occurred on February 21 2017, when the King Air VH-ZCR collided with a shopping centre located near Essendon Airport. The aircraft was operating a private charter flight to King Island in Tasmania. There were four passengers and the pilot on board. All were killed. The ATSB final report published on Monday said the aircraft’s track began diverging to the left of the runway centre line before rotation and the divergence increased as the flight progressed. It then entered a shallow climb followed by a “substantial left sideslip with minimal roll” before beginning to descend. At this point the pilot issued a mayday call seven times in rapid succession. 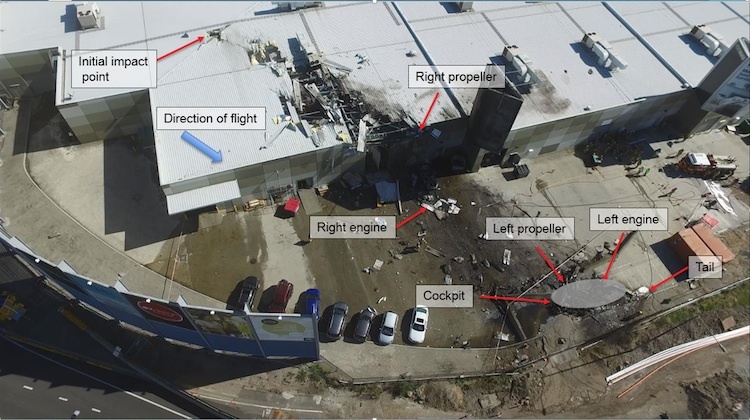 “Approximately 10 seconds after the aircraft became airborne, and two seconds after the transmission was completed, the aircraft collided with the roof of a building in the Essendon Airport Bulla Road Precinct – Retail Outlet Centre (outlet centre), coming to rest in a loading area at the rear of the building,” the ATSB final report said. “The ATSB found that the pilot did not detect that the aircraft’s rudder trim was in the full nose-left position prior to takeoff. The position of the rudder trip was determined following an examination of the wreckage from the crash site. “The on-site and post on-site examinations of the aircraft found that the rudder trim was in the full nose-left position at the time of impact,” the ATSB final report said. “This was consistent with the substantial sideslip at impact, derived from the roof collision marks. Further, a malfunction of the rudder trim was considered unlikely given its control system was manually operated by the pilot and had no connection to the autopilot/yaw damper or electric trim systems. And as it was unlikely the pilot would have set full nose-left trim during or after takeoff, the ATSB said the rudder trim was “probably mis-set in the full nose-left position prior to takeoff”. “Prior to takeoff, there were several opportunities in the pre-flight inspection and before takeoff checklists for the pilot to set and confirm the position of the rudder trim,” the ATSB final report said. The ATSB final report said the aircraft’s cockpit voice recorder did not record the accident flight due to a “tripped impact switch” which was not reset. It also noted the aircraft was operating beyond its maximum takeoff weight on the accident flight. However, this was not considered to have influenced the accident. The ATSB final report noted the operator of the aircraft did not have an appropriate flight check system in place for VH-ZCR. Further, it said cockpit checklists were an “essential tool for overcoming limitations with pilot memory, and ensuring that action items are completed in sequence and without omission”. “This accident highlights the critical importance of appropriately actioning and completing checklists,” the ATSB final report said. ATSB chief commissioner Greg Hood said checklists were a part of every pilot’s pre-flight risk management plan and an essential tool for overcoming limitations of the human memory. “Checklists ensure action items are completed in sequence and without omission,” Hood said in a statement. The ATSB report noted the pilot flying VH-ZCR was also involved in a 2015 incident where two Beech King Airs came within approximately 300ft vertically of each other on approach to Mount Hotham Airport, which is located at 4,300ft above sea level in the Victorian alps. The pilot flew his aircraft below the minimum altitude and exceeded the tracking tolerance of the approach to Mount Hotham after experiencing GPS and autopilot difficulties. 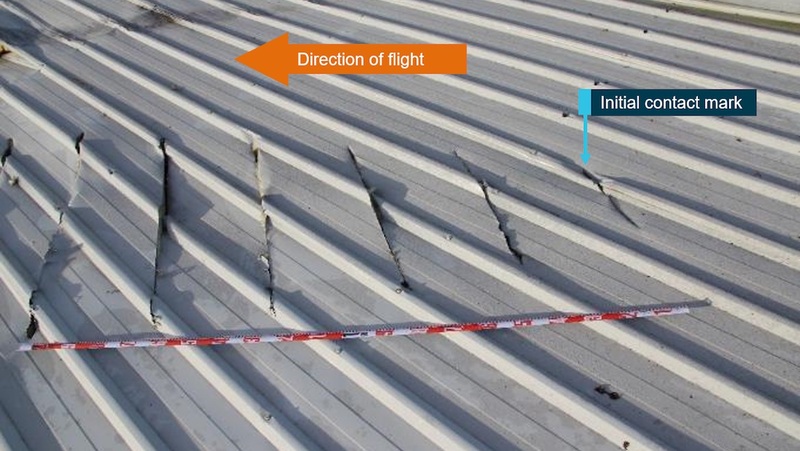 “Following an incident involving the pilot at Mount Hotham, Victoria on 3 September 2015, the pilot accepted CASA’s suggestion to undergo an IPC with a CASA flight operations inspector,” the ATSB final report noted. The ASTB said the building the aircraft struck did not increase the severity of the consequences of this accident. “In the absence of that building, the aircraft’s flight path would probably have resulted in an uncontrolled collision with a busy freeway, with the potential for increased ground casualties,” the report said. 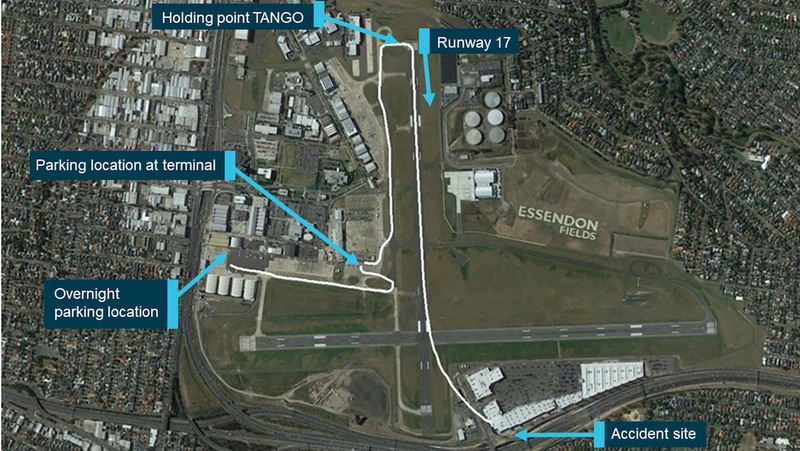 However, the ATSB said its investigation did identify that two of the four buildings within the retail precinct “exceeded the obstacle limitation surface (OLS) for Essendon Airport”. “While those exeedances had been approved by the Civil Aviation Safety Authority, the ATSB identified several issues relating to the building approval process for the precinct,” the report said. “It is beyond the scope of this investigation to consider in detail the issues identified with the Bulla Road Precinct building approval processes. The ATSB final report noted the OLS for the departure runway was not infringed and VH-ZCR did not collide with those buildings. Essendon Airport chief executive Chris Cowan said it was clear from the final ATSB report “the operation or conditions at Essendon Fields Airport played no role in this terrible crash”. “The report confirms that the presence of the DFO building struck by the aircraft did not increase the severity or the consequences of this accident. This building is not subject to further investigation,” Cowan said in a statement. VIDEO: An ATSB video from its YouTube channel explaining the importance of checklists following the incident at Essendon Airport.